All our hard work paid off at this years Sweet Adelines Region 3 Convention & Competition with Crosstown Harmony Chorus earning not one, but two medals! Placing 3rd in the AA Division and 4th in the overall standings. Our very own Cool Beans quartet placed 5th at the Sweet Adelines Region 3 Convention & Competition. We couldn't be prouder of these amazing women for their hard work and dedication to our craft! Throughout the year Crosstown will host many fundraisers to help with the costs associated with our hobby. One such fundraiser is selling pizzas. These delicious pies are available in the spring and the fall. We have a blast making them! Be sure to reach out to us if you're interested in placing an order. A weekend of fun and learning! Crosstown Harmony once again welcomed special guest coaches Karen Sweeters and her sister Gina Kaiser to share their knowledge and skills in barbershop during our semi-annual weekend retreat. 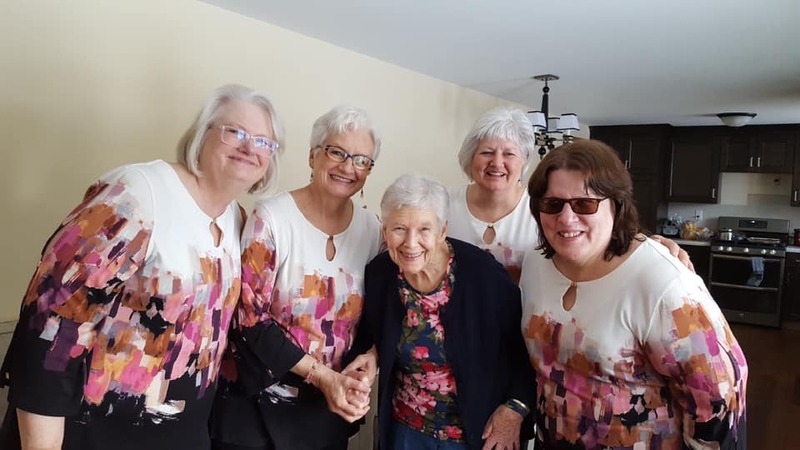 With over 35 years in Sweet Adelines International, Karen has gone from singing "on the risers" to directing Harmony on the Sound, 15 time North Atlantic Region 1 Champions, located in Trumball, Conneticut. She's also a Certified Judge in the Expression Category and has escalated to the top level of Sweet Adelines musicianship as a Master Director. Gina Kaiser is a Visual Specialist, Choreographer and Showmanship Judge extraordinaire. Together these two lead Crosstown in a weekend of learning and fun. This Valentine's Day our quartets could be found all around Southeastern WI delivering singing valentine's. Whether it was for a spouse, family member, co-worker, or friend, the message was the same. LOVE. Make us apart of your Valentine's celebration next year! On Monday, February 4th we had the honor of learning from Master Director 700 Jim Arns! 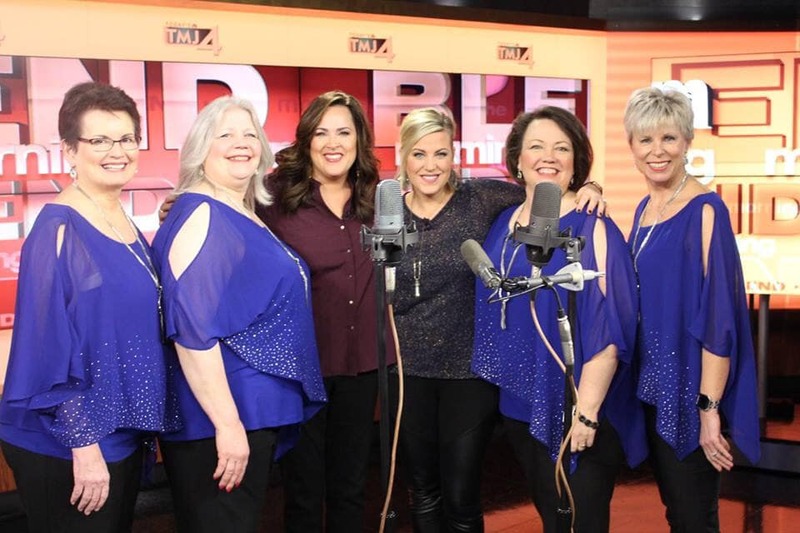 Educational opportunities abound when you are a member of a Sweet Adeline's chorus. This year's January Jamboree featured Diane Porsch! Diane Porsch, Master Director of the Buffalo Gateway Show Chorus since the fall of 2001, is a life-long musician. She joined Sweet Adelines in 1974, got hooked on barbershop music, and never left. In fact, she is such an avid and accomplished barbershopper it's how she makes her living! She spends most of her time focused on barbershop harmony as a Chorus Director, Coach, and Music Seminar Facilitator. This years Woman of Note is Sarah Cook! The votes are in! Please congratulate Sarah Cook, Crosstown Harmony's Woman of Note for 2018! Congratulations Sarah! A well-deserved honor! Crosstown Harmony rocked the Bierstube at the Christkindlmarket Milwaukee this afternoon. Such a fun audience! Crosstown Harmony had another wonderful performance last night singing for the WOW Club's Holiday Party at the Milwaukee Moose Lodge. We've sung for this event for years--always a fun time.